Rome, A.D. 64. A Roman warrior and his Jewish servant are ordered by the evil emperor Nero to track down a secret Christian document that undermines the Roman empire and predicts the end of the world. But they’re not prepared for the spiritual warfare they’ve unleashed. The truth behind the origin of the most controversial book of the Bible: Revelation. A historical conspiracy thriller with angels and demons. 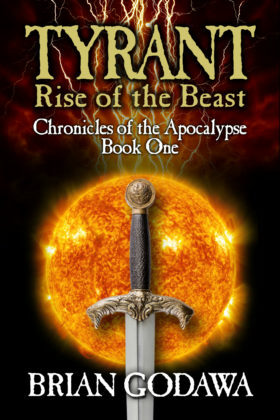 Book 1 of the Chronicles of the Apocalypse series.